Wanna see reviewed top 10 best dog foods puppies will love? 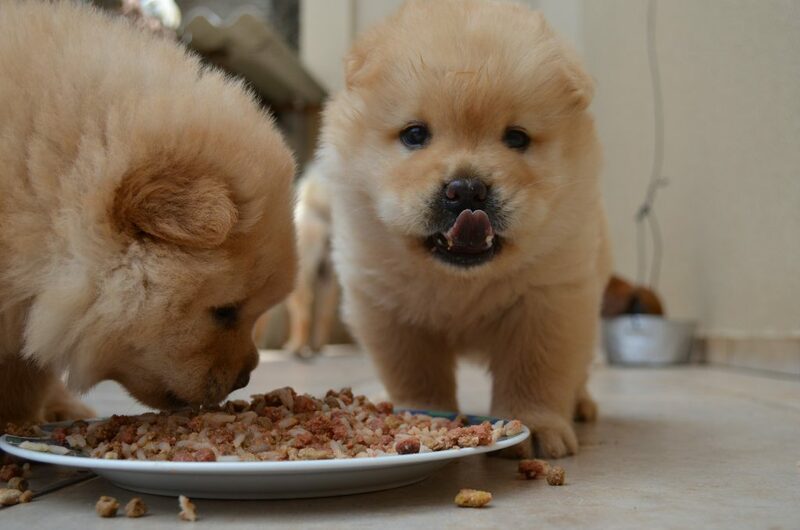 Feeding puppies with the food they love aren’t always the best and healthiest choice. Make sense does it? I’m a dog food judge. I specialize in examining dog food nutrition so that I can recommend you food that will preserve your dog’s health and extend his life. So I want to ask you a question. Do you want a healthy dog or overweight and sick dog in future? Top 10 dog foods for puppies. What is the healthiest dog food for puppies? Which one is the best dry dog food for puppies? Comparison of best dog foods puppies will love. The highest grade I provide for one puppy food is 100/100 and the lowest is 9/100. I am sure you are curious. Right? If you want to skip reading download my comparison table where I point out the most important information in one place. Ok, let’s go straight to the top 10 dog foods for puppies. Foods that have been examined are the most popular one on the Amazon. So if you are dog owner you must have heard for them. However are they healthy for your puppy? 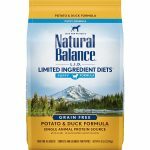 The most popular puppy food on Amazon is definitely Natural Balance puppy formula. It is the most sold product. So I decided to start my examination with this product. Do you want to find out this food advantages and disadvantages? The company that produces Natural Balance products is called Natural Balance Pet Foods, Inc. and it is located in California. What Natural Balance reviews say about the brand? Dog food advisor grade: 3/5. So the grades are very good. I am a dog food judge and I wanted to test this product by myself. 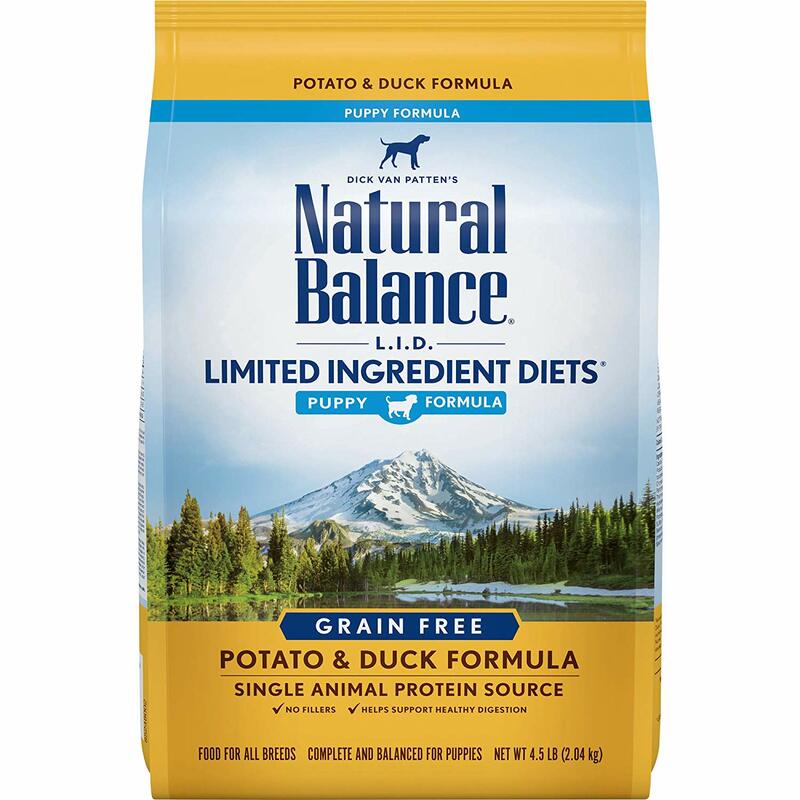 Natural Balance puppy products are made from dried ingredients. As I say in my 6 tips for choosing the right dog food (check it here) drying technique isn’t the best. The second thing is composition. The best composition for puppy food is a big amount of proteins and lower amounts of fat and even lower amount of fiber. So the composition is good. This product has a well-balanced composition. However, does it has ideal fat and fiber to protein ratio? Fat to Protein ratio: 49%. Fiber to Protein ratio: 18%. As I say in my tips the ratios should be a protein to fat 2/1 and protein to fiber 4/1. The ratios of Natural Balance product are almost ideal. The second step in the examination is a full view of the ingredient list. Now let’s see the full ingredient list. Shall we? Vitamins: vitamin E supplement, niacin, d-calcium pantothenate, vitamin A supplement, riboflavin supplement, thiamine mononitrate, vitamin D3 supplement, pyridoxine hydrochloride, folic acid, biotin, vitamin B12 supplement. Minerals: zinc proteinate, zinc sulfate, ferrous sulfate, iron proteinate, copper sulfate, copper proteinate, manganese sulfate, manganese proteinate, calcium iodate, sodium selenite. Other: potassium chloride, taurine, mixed tocopherols (preservative), rosemary extract, green tea extract, spearmint extract. Now we have the full view into the quality of the product. Which are problematic ingredients? As you can see there are not many problematic ingredients. In fact, the list is very correct. The price is very low and it is not strange that it is very popular puppy food. After examination of the Natural Balance puppy food product I have concluded that the product is good but not the healthiest one. My judgment for Natural Balance brand is 86/100. The main problem is the drying technique and too many plant-based proteins. To long short story the brand is good and I recommend it. This is the second most popular brand on Amazon. The company that produces Hill’s Science foods is called Hill’s Pet Nutrition, Inc. and it is located in America. What professional and users Hill’s Science reviews say about the product? As the best source of users reviews, I suggest the Amazon because that is the website where people buy the product. On the other hand, the best professional review I suggest is Dog food advisor reviews. Dog food advisor grade: 4/5. As you can see the users provide lower grades in their reviews but the 4 is still very high grade. The dog food advisor professional review provide this product grade 4 which is also very high. Now let’s see my quick review and grade for this product. To examine product advantages and disadvantages I had to see food composition and ingredients list. So let’s start with the first criteria. The composition looks good. The protein level are high and fat as well as fober levels are low. To see the more precise picture we had to see ratios. Fat to Protein ratio: 62%. Fiber to Protein ratio: 12%. The ratios show us that the first ratio is a little higher than the ideal value and the second ratio is a little lover than the ideal value. However, these ratios are pretty good. How about the ingredient list? Main: chicken meal, cracked pearled barley, pork meal, whole grain wheat, whole grain corn, whole grain sorghum, corn gluten meal, pork fat, chicken liver flavor, dried beet pulp, fish oil, lactic acid, flaxseed, pork flavor, soybean oil, dicalcium phosphate, iodized salt, potassium chloride, l-lysine, choline chloride. Vitamins: vitamin E supplement, l-ascorbyl-2-polyphosphate (source of vitamin C), niacin supplement, thiamine mononitrate, vitamin A supplement, calcium pantothenate, vitamin B12 supplement, pyridoxine hydrochloride, riboflavin supplement, biotin, folic acid, vitamin D3 supplement. Minerals: ferrous sulfate, zinc oxide, copper sulfate, manganous oxide, calcium iodate, sodium selenite. Other: taurine, oat fiber, mixed tocopherols for freshness, natural flavors, beta-carotene, apples, broccoli, carrots, cranberries, green peas. Whole grain wheat – very cheap ingredient that causes allergies reactions. Corn – Causes allergy reactions and sugar imbalance. Usually, GMO produced. Dried beet pulp – by-product with a lot of fiber content. It contains sugar. Green peas – plant-based protein and cheap ingredient. With more detailed insight into the ingredients list, I saw 4 problematic ingredients. These ingredients are unhealthy for dogs and that is why my final grade will be lower. After examination of Hill’s Science puppy food, I have concluded that this product isn’t the best as many think. The problem is the ingredient list. There are 4 unhealthy ingredients. Also, the ingredients are processed with a dry technique which is also not the best. The protein level and the ratios are pretty good so the food is well balanced. My final judgment is 81/100. Taste of the wild is one of the most famous dog’s food brand. The Taste of the wild puppy food isn’t an exception either. It is the third most sold puppy brand on Amazon. Wanna see why? What Taste of the wild reviews says about the brand? As always I look for the best sources of reviews information and as you will see in just a second they are as expected very positive. So the user reviews are very high as well as professional reviews. This means that this puppy food should be very good. Right? In the quick review, I want to show you only the most important information you need to know about this brand. The first important thing is composition. The protein levels are high and the fat, as well as fiber levels, are low which is a good sign. How about the ratios. Fat to Protein ratio: 61%. The ratios are also very good. The fat ratios is just a little higher than optimal 50% but the fiber ratios are perfect. So the most important thing for judgment will be the ingredient list. Main: buffalo, lamb meal, sweet potatoes, egg product, pea protein, peas, potatoes, canola oil, tomato pomace, roasted bison, roasted venison, beef, flaxseed, potato fiber, natural flavor, ocean fish meal, salmon oil (a source of dha), salt, dl-methionine, choline chloride, taurine, dried chicory root, yucca schidigera extract, tomatoes, blueberries, raspberries. Probiotics: dried lactobacillus plantarum fermentation product, dried bacillus subtilis fermentation product, dried lactobacillus acidophilus fermentation product, dried enterococcus faecium fermentation product, dried bifidobacterium animalis fermentation product. Vitamins: vitamin E supplement, thiamine mononitrate (vitamin B1), vitamin A supplement, biotin, niacin, pyridoxine hydrochloride (vitamin B6), vitamin B12 supplement, riboflavin (vitamin B2), vitamin D supplement, folic acid, ascorbic acid. Minerals: iron proteinate, zinc proteinate, copper proteinate, ferrous sulfate, zinc sulfate, copper sulfate, potassium iodide, manganese proteinate, manganous oxide, manganese sulfate, sodium selenite, calcium pantothenate. As you can see in the ingredient list the main ingredient is meat. This food contains a lot of meat which means there is a lot of animal-based proteins which are good and healthy for puppies. This is a high plus for Taste of the wild product. Now follows the ingredient analysis. Canola oil – sometimes can be genetically modified GMO but it is a very good source of omega-3 fatty acids. Pea protein – plant-based protein and cheap ingredient. Tomato pomace – by-product that has high fiber and nutrient content but it is a cheap ingredient. Salt – in high amounts leads to water deprivation. So here we can see a few less quality ingredients but there is no dangerous substance and that is very good. This food is very famous because it is actually good and I recommend it. The final judgment has come. My judgment for Taste of the wild puppy food is 89/100. Why? The technology of production is drying and there are four less appropriate ingredients. Everything else like composition, ratios, and price as well is very good. Taste Of The Wild is the best dry puppy food and I recommend it as the very cheap but still quality puppy brand. The Blue Buffalo brands are very famous and there is one on the list of Amazon most sold foods for puppies called Blue Buffalo life protecting formula for puppies. This is the fourth food in the comparison of top 10 dog foods for puppies. What Blue Buffalo life protecting formula for puppies reviews say about the brand? As you can see the users’ reviews are very positive for this Blue Buffalo brand for puppies. Ok, in just a few seconds you will see is it justifiable. The protein, fat, and fiber levels are well balanced so as we can already see the ratios will be great too. Fat to Protein ratio: 58%. Fiber to Protein ratio: 19%. Both ratios are great to be more precise almost ideal. So this brand is very well balanced puppy product. Now let’s see the ingredient analysis. Main: deboned chicken, chicken meal, brown rice, oatmeal, barley, pea protein, peas, chicken fat (preserved with mixed tocopherols), menhaden fish meal (source of omega 3 fatty acids), flaxseed (source of omega 6 fatty acids), natural flavor, dried tomato pomace, dried egg product, fish oil (source of ara-arachidonic acid and dha-docosahexaenoic acid), salt, dehydrated alfalfa meal, potatoes, dried chicory root, pea fiber. Probiotics: dried enterococcus faecium fermentation product, dried lactobacillus acidophilus fermentation product, dried aspergillus niger fermentation extract, dried trichoderma longibrachiatum fermentation extract, dried bacillus subtilis fermentation extract. Vitamins & minerals: niacin (vitamin B3), calcium pantothenate (vitamin B5), l-ascorbyl-2-polyphosphate (source of vitamin C), l-lysine, biotin (vitamin B7), vitamin A supplement, thiamine mononitrate (vitamin B1), riboflavin (vitamin B2), vitamin D3 supplement, vitamin B12 supplement, pyridoxine hydrochloride (vitamin B6), folic acid (vitamin B9), l-carnitine, ferrous sulfate, potassium chloride, copper sulfate, copper amino acid chelate, manganese sulfate, taurine, manganese amino acid chelate, calcium iodate, sodium selenite, zinc amino acid chelate, zinc sulfate, iron amino acid chelate, calcium carbonate, dl-methionine, vitamin E supplement, choline chloride, dicalcium phosphate. Other: blueberries, cranberries, barley grass, parsley, turmeric, dried kelp, yucca schidigera extract, dried yeast, oil of rosemary, sweet potatoes, carrots, garlic, vegetable juice for color. The list of ingredients is very big and I am sure that it can easily confuse you. Well after the examination I point out bad ingredients so you don’t need to worry much. Alfalfa meal – rich in plant-based protein that is less appropriate for dogs. Dried yeast – yeast is unhealthy ingredient which cause allergies and bloat. However it’s gluten-free. Garlic – very toxic for dogs. It may damage your dog’s red blood cells and cause anemia. Pea – plant-based protein and cheap ingredient. Salt – in higher amounts leads to water deprivation. Tomato pomace – by-product that has high fiber and nutrient content but it is cheap ingredient. Also, dried yeast is the ingredient which I definetly don’t like in the puppies food and these ingredients will effect on the final judment. I know what you are thinking…bad food. Right? Well, it is not like that. Actually, it is above average dry dog food brand. However, it is far from ideal. My final judgment is based on all factors which include composition, ratios, ingredient analysis and price. As you can see my final judgment is 73/100. What to see Pedigree puppy growth and protection formula. However, as you will be able to see after my examination this food isn’t what you think it is. It is the fifth brand in comparison of best dog foods puppies will love. What Pedigree puppy reviews say about the brand? Dog food advisor grade: 1/5. So there is very disagreement between people who buy this product and professionals who examine it. Wow so what now? Now we need to examine it closely to see what is this about. The composition shows that there are very high amount of proteins and low amount of fats and fibers which is ok. Fat to Protein ratio: 41%. Fiber to Protein ratio: 11%. As you can see the ratios are little below the ideal. However, this shouldn’t be a big problem and it will not affect strongly on final judgment. Main: ground whole grain corn, meat and bone meal (source of calcium), corn gluten meal, animal fat (source of omega 6 [preserved with BHA & citric acid]), soybean meal, natural flavor, chicken by-product meal, dried plain beet pulp, ground whole grain wheat, salt, potassium chloride, brewers rice, choline chloride, dried peas. Vitamins & minerals: calcium carbonate, zinc sulfate, dl-methionine, vitamin E supplement, niacin [vitamin B3], biotin, dried carrots, l-tryptophan, d-calcium pantothenate [source of vitamin B5], riboflavin supplement [vitamin B2], pyridoxine hydrochloride [vitamin B6], copper sulfate, sodium selenite, potassium iodide, vitamin A supplement, thiamine mononitrate [vitamin B1], vitamin B12 supplement, vitamin D3 supplement, folic acid. Other: BHA & citric acid (a preservative), blue 2, yellow 5, yellow 6, red 40. Doesn’t look bad. Does it? Are you asking yourself what do we got here? Well not good my friends not good! The Pedigree puppy ingredient analysis shows that there are less quality, unhealthy and dangerous ingredients on the list as well. Animal fat – animal fat isn’t a problem but the unknown source is. It is unknown does animal fat comes from euthanized pets, pets with diseases or other sources that are not fit for humans. BHA – studies show that this preservative cause cancer and it is banned in some countries. Blue 2, yellow 5, yellow 6, red 40 – yellow 5 and 6 contains benzidine an organic compound that studies proclaimed carcinogen. I am strongly against all artificial coloring. Brewers rice – by-product that contains grain. Chicken by-product meal – unknown parts of animals that are in most cases unfit for human food. Dried plain beet pulp – by-product with a lot of fiber content. It contains sugar. Dried peas – plant-based protein and cheap ingredient. Meat and bone meal – lower digestibility. Soybean meal – by-product that is used as a plant-based protein and less appropriate for dogs. As you can see there is everything here. The price of this product is very low so I think it is the only reason why anyone who cares for their pets buys it. I mean there is a lot of unhealthy and dangerous ingredients which are not good for your puppy and its health. So the professionals are right. Pedigree is not healthy for your dogs’ health in long-term. It does not protect the puppy so don’t fall for the great titles on the products. I do not recommend you to buy or feed your dog with this product. Iams provides very cheap puppy brand. This is the sixth food in the comparison of 10 best dog foods puppies love. As you probably suspect when it is cheap, there is something behind it. Right? So let’s see is it a quality product or not. Shall we? What Iams reviews say about the brand? So the reviews are above average. It is one of the most sold foods so let’s find out why. The Iams composition looks very good. It contains a lot of proteins, little above average fats and very low level of fibers. Fiber to Protein ratio: 14%. As the suspected first ratio is little higher than ideal and the second ratio is little less but that isn’t a problem. Actually, it is a very well balanced product. Main: chicken, corn meal, chicken by-product meal, ground whole grain sorghum, dried beet pulp, chicken fat (preserved with mixed tocopherols, a source of vitamin E), chicken flavor, chicken meal, fish oil (preserved with mixed tocopherols, a source of vitamin E), dried egg product, potassium chloride, brewers dried yeast, salt, caramel, choline chloride, fructooligosaccharides. Vitamins: vitamin E supplement, ascorbic acid, vitamin A acetate, calcium pantothenate, biotin, thiamine mononitrate (source of vitamin B1), vitamin B12 supplement, niacin, riboflavin supplement (source of vitamin B2), inositol, pyridoxine hydrochloride (source of vitamin B6), vitamin D3 supplement, folic acid), calcium carbonate, dl-methionine, l-lysine monohydrochloride, rosemary extract. Minerals: ferrous sulfate, zinc oxide, manganese sulfate, copper sulfate, manganous oxide, potassium iodide, cobalt carbonate. The main ingredient is obviously chicken what is good. However, there are several problematic ingredients that I found in ingredient analysis. Brewers yeast – yeast is by-product with gluten. In this shape, it can cause allergies and also bloat. It is an unhealthy ingredient that contains a lot of bad proteins for dogs. Caramel – it is a natural coloring agent. It is not forbidden but in studies, this ingredient was proven to be cancerous. Chicken by-products – unknow parts of animals that are in most cases unfit for human food. As you can see Iams product isn’t the healthiest one but it is very cheap. It contains a lot of sugar and several unhealthy ingredients so I don’t find it puppy health-protective food. Why 65/100? Well, the product is well balanced and it does not contain dangerous ingredients. It isn’t healthy for puppies in a long term. However, it is better than many dry products on the market. My final judgment for this Iams product is 65/100. Purina is a very famous company all around the world. They provide a wide range of products for pets. In this article, I want to test puppies product and provide my final judgment. So let’s see the seventh best dog foods puppies just love. What Purina reviews say about this puppies food brand? There is no Dog food advisor review so I look for the Chewy reviews grade. The Chewy and Amazon Purina One SmartBlend puppy reviews are very positive and the grade is very high. The composition looks good, not ideal but good. Why? The fat levels are little high and fiber level too low but let’s see the ratios. So like I mentioned previously the fats ratio is almost ideal but the fiber is little too low which is not the problem because of our lovely pets like healthy proteins. Vitamins: vitamin E supplement, niacin (vitamin B-3), vitamin A supplement, calcium pantothenate (vitamin B-5), thiamine mononitrate (vitamin B-1), vitamin B-12 supplement, riboflavin supplement (vitamin B-2), pyridoxine hydrochloride (vitamin B-6), folic acid (vitamin B-9), menadione sodium bisulfite complex (vitamin K), vitamin D-3 supplement, biotin (vitamin B-7). Minerals: zinc sulfate, ferrous sulfate, manganese sulfate, copper sulfate, calcium iodate, sodium selenite], choline chloride, l-lysine monohydrochloride, sulfur. Ok, I found several problematic ingredients in the analysis. Can you detect them? Well, if not don’t worry. Below I show you the list. Rice flour – by-product that contains grain. The problematic ingredient list shows are almost the same as the previous Iams product. However, this product contains rice and soy which I would not prefer in dog foods for my lovely pet. So the problem isn’t in the composition. However the technique of production is drying, there are more unhealthy ingredients on the list so the final judgment grade is lower. The price is very low and it boosts the grade for this product. My Purina ONE SmartBlend puppy food judgment grade is 61/100. Ok, Wellness Core for puppies is very popular food but still not well enough. My examination shows me that this is a very nice brand if we don’t look at the drying production technique. It is the eight brand in the comparison of best dog foods puppies will love. What Wellness Core reviews say about the brand? Dog food advisor grade: 5/5. So the professional reviews show that this product is one of the top dry dog food product. The user’s reviews are a little low but still very good. Let’s take a closer look, shall we? The composition is great. This product has a very high level of proteins which is a very good source of strength for puppies. On the other hand, the fat level is almost perfect and the fiber levels are very low. Looks good, right? So right now we only need to check the ingredient list to see if there is any dangerus ingredient. Main: deboned chicken, chicken meal, turkey meal, potatoes, peas, potato protein, chicken fat (preserved with mixed tocopherols), dried ground potatoes, tomato pomace, natural chicken flavor, salmon oil, ground flaxseed, salt, bananas, spinach, broccoli, carrots, parsley, apples, blueberries, kale, sweet potatoes, mixed tocopherols added to preserve freshness. Probiotics: dried lactobacillus plantarum fermentation product, dried enterococcus faecium fermentation product, dried lactobacillus casei fermentation product, dried lactobacillus acidophilus fermentation product. Vitamins & mineras: zinc proteinate, zinc sulfate, calcium carbonate, niacin, ferrous sulfate, iron proteinate, beta-carotene, vitamin a supplement, copper sulfate, thiamine mononitrate, copper proteinate, manganese proteinate, manganese sulfate, D-calcium pantothenate, sodium selenite, pyridoxine hydrochloride, riboflavin, vitamin D3 supplement, biotin, calcium iodate, vitamin B12 supplement, folic acid, ascorbic acid (vitamin C), potassium chloride, vitamin E supplement, choline chloride, taurine. Other: chicory root extract, yucca schidigera extract, rosemary extract, green tea extract, spearmint extract. Ok, there are not many ingredients that I would point out in my analysis. Actually, there are few less appropriate ingredients for dogs. Pea fiber – plant-based protein and a cheap ingredient. So as you can see the problems are cheap ingredients and salt which is used in a very small amount so it is not a problem. Actually, this is the very quality brand for puppies and I recommend it. The price is good, the composition is good and the ingredient list is good. The only problem I see here is drying procedure and tow cheap and less quality ingredients. So my final Wellness Core for puppies judgment is 88/100. Orijen puppy brand is more and more popular in the world because Orijen is focused on producing high-quality freeze-dried puppy food. Orijen puppy food is biologically appropriate raw food (BARF). To be more precise it is the most appropriate diet for puppies. In the following review, I want to show you why is that so. Wanna see? What Orijen reviews say about the brand for puppies? The Orijen reviews are very positive for puppies and dogs brands. So their pet food production is very quality. Let’s say that we don’t believe the reviews and we want to check its quality by ourself. In just a few seconds you will see is Orijen puppy food brand a scam or not. The composition is almost ideal. The protein level is very high and the fat level is almost ½ which is ideal. The fiber level is very low. To get the more precise picture we need to look at the ratios. Fat to Protein ratio: 53%. Fiber to Protein ratio: 13%. The fat ratios are ideal. The fiber ratios are less than optimum but it is a very good percentage. Here I don’t have any objection which would affect on final judgment. Main: fresh chicken meat (11%), fresh turkey meat (7%), fresh whole eggs (6%), fresh whole herring (6%), fresh chicken liver (5%), fresh whole flounder (5%), fresh turkey liver (5%), fresh chicken heart (4%), fresh turkey heart (4%), fresh chicken necks (4%), chicken (dehydrated, 4%), turkey (dehydrated, 4%), whole mackerel (dehydrated, 4%), whole sardine (dehydrated, 4%), whole herring (dehydrated, 4%), chicken fat (4%), herring oil (2%), whole red lentils, whole green peas, whole green lentils, whole chickpeas, whole yellow peas, lentil fiber, whole pinto beans, whole navy beans, chicken bone and cartilage (1%), chicken liver (freeze-dried), turkey liver (freeze-dried). Other: fresh whole pumpkin, fresh whole butternut squash, fresh whole zucchini, fresh whole parsnips, fresh carrots, fresh whole red delicious apples, fresh whole bartlett pears, fresh kale, fresh spinach, fresh beet greens, fresh turnip greens, brown kelp, whole cranberries, whole blueberries, whole saskatoon berries, chicory root, turmeric root, milk thistle, burdock root, lavender, marshmallow root, rosehips. As we can see the main ingredients are chicken and turkey meat. The vitamins are obtained by organs like liver what is very appropriate for puppies. There are bones which contain calcium and fishes which contains omega-3 fatty acids. …as well as nutritional value. This is a very balanced BARF diet for puppies and I have to tell you that this is one of the best puppies foods I have seen. Lentil fiber – doesn’t have many nutritional benefits for a dog. Peas – plant-based protein and cheap ingredient. As you can see there are two problematic ingredients. However, the lentil fiber doesn’t have nutritional benefits but it is not a bad ingredient either. On the other hand, peas are plant-based protein and cheap ingredient but not problematic in an amount that Orijen has it. I am a dog food judge and I have to tell you that I am impressed with Orijen puppy food. I did not find any big objection and I find many praises for this BARF brand. So my final judgment is 100/100. I think that you will not find healthiest and more appropriate dog food puppies brand on the market. …Orijen is the best brand of puppies food. 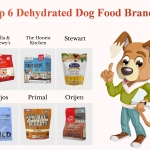 Stella & Chewy’s are the most know freeze-dried dog food brands on the Amazon. These brands are well known because of very high quality and healthiness for pets. This is the last brand in the comparison of best dog foods puppies will love. What do Stella & Chewy’s Meal Mixers reviews say about the brand? Dog food advisor grade: 4.5/5. Amazon, as well as dog food advisor reviews, are higher than 4 which is very good. This means that users, as well as professionals, agree that this is a very quality brand. The protein level is high, fiber level low the situation is almost identical to the previous Orijen brand. Fiber to Protein ratio: 10%. Stella & Chewy’s brand has a lower fiber ratio which is a little too low and has the almost ideal fat ratio. Main: chicken with ground bone, chicken liver, chicken gizzard, pumpkin seed, organic cranberries, organic spinach, organic broccoli, organic beets, organic carrots, organic squash, organic blueberries, fenugreek seed, dried kelp, tocopherols (preservative). Probiotics: dried Pediococcus acidilactici fermentation product, dried Lactobacillus acidophilus fermentation product, dried Bifidobacterium longum fermentation product, dried Bacillus coagulans fermentation product. Vitamins & minerals: zinc proteinate, iron proteinate, taurine, calcium carbonate, vitamin E supplement, thiamine mononitrate, copper proteinate, manganese proteinate, sodium selenite, niacin supplement, d-calcium pantothenate, riboflavin supplement, vitamin A supplement, vitamin D3 supplement, vitamin B12 supplement, pyridoxine hydrochloride, folic acid, choline chloride, potassium chloride, sodium phosphate. In the Stella & Chewy’s chicken meal mixers ingredients analysis I did not find any bad, unhealthy or dangerous components. Stella & Chewy’s chicken meal mixers testing proved very high reviews grades. It is indeed a very good product that will preserve your puppy health. In all categories, this brand is above average. The only objections are the price which is high and fiber ratio which is low. This isn’t the best puppy food brand but it is in the list of the best. To long short the story, this food is great and I recommend it. My Stella & Chewy’s chicken meal mixers judgment is 93/100. 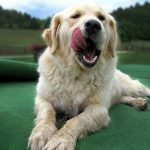 Comparison of best dog foods puppies will love shows you the top 10 dog foods for puppies that are most popular but as you could have seen they are not always the best. Actually, the best ones are hidden. Why is that so? The big and famous brands spend a lot of money on „marketing“. They hire veterinarians and so-called experts to recommend their products. Sounds logical, does it? So there are various reviews with various foods suggested as the best. I provide you with various source information and also I am a dog food judge who examined puppies product by myself and provide my judgment. I think it is a lot better option than just providing the grade and link to buy. Don’t you agree? In it, I point out the most important information so you can see everything in one place. It is free and it will take you only a few minutes. After the examination of the top 10 dog foods for puppies, I have concluded that the nest one is Orijen Puppy brand. Why is Orijen Puppy brand the best dog food for puppies? The test results show that this food is made as a BARF diet which is most appropriate for small dogs ie. puppies. …there is no better brand. It contains a lot of proteins that are actually highly quality animal-based proteins. …the healthiest one for a puppy of all breeds. So if you have puppies, and you want to preserve their health, I highly recommend you to try feeding them with the Orijen puppy food brand. Ok, I don’t recommend dry dog food as the healthiest one because of ingredient processing during the production. However, it is the fact that dry dog foods for puppies are cheap. The best dry dog food for puppies is Taste Of The Wild puppy food. It is perfectly balanced with the high content of meat and the best part is that it is cheap. So if you want a budget choice I recommend you this puppy food as the best. I am a dog food judge Mirko Nuli and I have examined 10 best dog foods puppies love. These 10 brands have been reviewed and I have made a final judgment. So the healthiest and the best puppies food brand would be Orijen and I highly recommend you to feed your canine friend with this food. If you are on a low budget I suggest you choose Taste Of The Wild. This is the best choice for a low price. It is healthy and still very good for your puppy and the best part is that it is cheaper than many other unhealthy brands I reviewed above. Thank you dog food judge Mirko Nuli.